Tinkerbell is working hard on the mainland this month searching for lost things belonging to Hurricane Harvey victims, but it’s looking like she is going to need a variety of other talents to make an impact. The 20 trillion gallons of water that fell on Texas in the last two weeks has destroyed over 49,000 homes with fatal flooding that has cost many people more than just their homes. As waters are receding, Houston and other affected areas are finding their communities devastated, their schools and businesses gone, and their people without homes and possessions. It’s going to take years to recover or replace everything that was lost, and so the fairies are asking for your help. It’s not always easy knowing how where your talent is most needed. You could be a water fairy, an animal fairy, a tinker, or a light fairy. Maybe you’re really good at baking. Maybe you’re an artist or a musician. 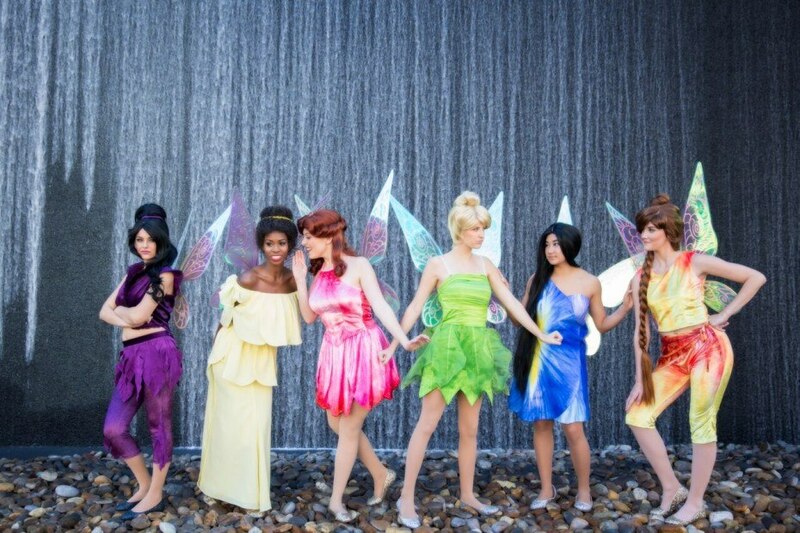 The good news is that all these talents and more are capable of helping the victims of Hurricane Harvey recover or rebuild what they have lost, and Tinkerbell is here to help! Q: What is the best thing to donate to Hurricane Harvey victims? A: The needs of victims change from week to week, so cash is the most effective way to help. Also, flooding has limited the amount of storage space for physical item donation, so experts and organizations are asking for cash only. It’s not as always easy or personal feeling to make a cash donation so we have some ideas below for how to add some fairy dust. Q: How can I fundraise for Hurricane Harvey? A: You can raise funds for hurricane relief just by using your special talent! Host a bake sale on your block or at school using ingredients you already have at home. Or simply have a lemonade stand. You can have a craft sale making beautiful fairy gifts out of found-objects, like painted rocks, wish bracelets, painted pine cones, and maple seed dragonflies, to name a few. All these talents require little to no start-up costs and you’ll raise money by involving your community. Jr. High and High school students can host an open mic night or talent show at their school, and donate proceeds to a charity of their choice. Make sure to create banners and flyers for your fundraisers so that your community can feel more involved with where their donations are going to. Make a personal #hashtag around your fundraiser so people can spread awareness on social media (ex. #hikeforharvey, #prayersandpiesfortexas). Q: What are the best charities for Hurricane Harvey? The other fairies and I are so excited for you to use your talents to help the victims of Harvey, and like we see with the changing seasons, every type of talent is equally useful and magical in making a difference.